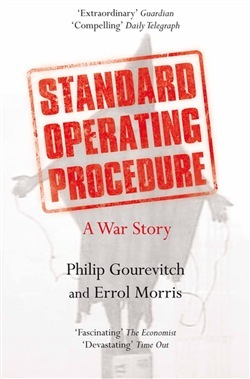 Standard Operating Procedure is an utterly original collaboration by the writer Philip Gourevitch (We Wish to Inform You that Tomorrow We Will Be Killed With Our Families) and the film-maker Errol Morris (The Thin Blue Line, The Fog of War). They have produced the first full reckoning of what actually happened at Abu Ghraib. Standard Operating Procedure reveals the stories of the American soldiers who took and appeared in the haunting digital snapshots from Abu Ghraib prison that shocked the world – and simultaneously illuminates and alters forever our understanding of those images and the events they depict. Drawing on more than two hundred hours of Errol Morris’s startlingly frank and intimate interviews with Americans who served at Abu Ghraib and with some of their Iraqi prisoners, as well as on his own research, Philip Gourevitch has written a relentlessly surprising account of Iraq’s occupation from the inside-out – rendering vivid portraits of guards and prisoners ensnared in an appalling breakdown of command authority and moral order. Gourevitch and Morris have crafted a nonfiction morality play that stands to endure as essential reading long after the current war in Iraq passes from the headlines. By taking us deep into the voices and characters of the men and women who lived the horror of Abu Ghraib, the authors force us, whatever our politics, to re-examine the pat explanations in which we have been offered – or sought – refuge, and to see afresh this watershed episode. Instead of a ‘few bad apples’, we are confronted with disturbingly ordinary young American men and women who have been dropped into something out of Dante’s Inferno. This is a book that makes you think, and makes you see – an essential contribution from two of our finest nonfiction artists working at the peak of their powers. 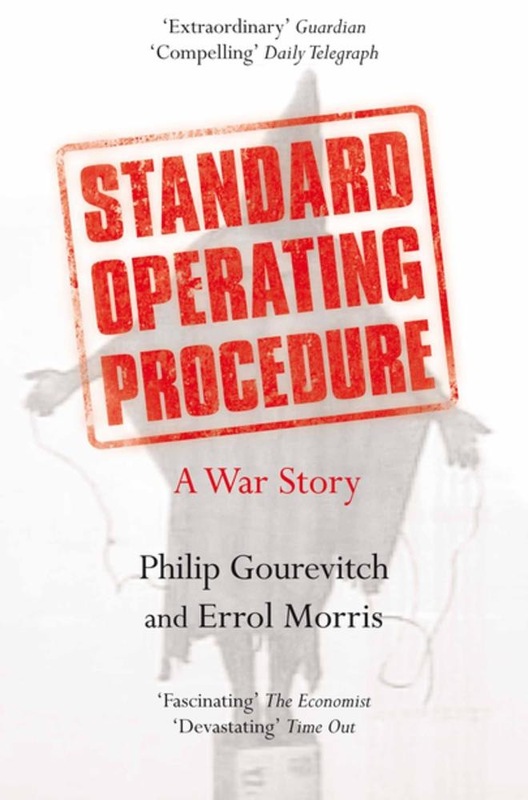 Acquista Standard Operating Procedure in Epub: dopo aver letto l’ebook Standard Operating Procedure di Philip Gourevitch, Errol Morris ti invitiamo a lasciarci una Recensione qui sotto: sarà utile agli utenti che non abbiano ancora letto questo libro e che vogliano avere delle opinioni altrui. L’opinione su di un libro è molto soggettiva e per questo leggere eventuali recensioni negative non ci dovrà frenare dall’acquisto, anzi dovrà spingerci ad acquistare il libro in fretta per poter dire la nostra ed eventualmente smentire quanto commentato da altri, contribuendo ad arricchire più possibile i commenti e dare sempre più spunti di confronto al pubblico online.